Financial surprises and unplanned expenses can pop up at any point in time. All of us have our share of such shocks, especially when we are least expecting it! Damaged cars, emergency home renovations, and pending utility bills can create the need for quick cash. 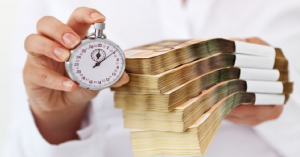 You need money within the shortest time, and a loan will be a swift route to get it quickly. However, in order to get loans in quick time (1-2 days) you need to explore avenues other than the traditional banking sector. You already know that banks won’t be able to meet your needs in this regard. Loans from individual lenders and personal sources will come fast and quite easily. Borrowing from banking institutions and Non-Banking Financial Companies (NBFC) won’t be judicious, as that will require time and stringent documentation assessment. Emergencies demand quick actions, and for this, loans from non-traditional sources like peer to peer lenders or gold loan will help. But fintech companies and financial advisors recommend keeping in mind that they charge a higher rate of interest (going anywhere between 11% to 30% p.a.) You need to take a decision on the cost of going the easy way out. Find out whether you qualify for a loan in the first instance. Perform a quick check of your credit score. If you have a decent credit score (as close to the 900 mark as possible), lenders will be willing to lend to you. 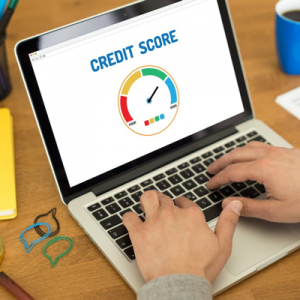 Credit score is an integral part of the overall loan application process and plays a pivotal role in quick loan approvals. Borrowing from family, friends, and relatives is a common practice. However, it is imperative to set repayment terms and follow them judiciously. Don’t miss payment deadlines. Repay the amount according to predetermined conditions and terms. That will add to your credibility. You can apply for immediate and fast loans with the help of your credit card. All you need is an active credit card, and the payments can be withdrawn from an ATM. However, cash advances are costly, and the APRs are quite high. Banks charge a whopping 20% or more when it comes to giving cash advances on credit cards. Additionally, you can’t ignore the 5% or 2% processing fees charged by these banks. Interest on these loans starts accruing immediately, and you don’t even get grace period. Another point is the steep penalty and fines that will be incurred if you miss the payment due dates. Another way of getting quick loans is by associating with payday lenders in India. These lenders won’t check your credit history or reports. Regular paychecks are also required. Again fintech companies recognize this as a high-risk source for loans. Borrowing from these sources should ideally be a last resort measure. There’s no point in taking loans from a source where the APRs are so high that you fall in an unfortunate cycle of debts. Loans give financial support and assistance during times when you need it the most. You have to choose the right sources to get instant cash in hand. Be informed and careful when you request for financial assistance or apply for emergency loans.